How do expert searchers fit into the Google age? Is there still a role for them? How can you be the best searcher you can be? What tools can you use to develop your skills and build better searches? These questions and more are covered by Jankowski. 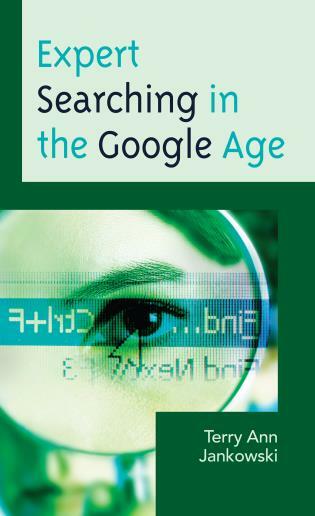 After making a case for the value librarians can bring to the searching process, whether using Google or other databases, Jankowski takes you through the entire search cycle and offers a glimpse into the future of searching. How do you negotiate a search so that all parties are satisfied? How do you decide which resources to use and use them to their best advantage? What are the steps to building a good search strategy and how do you adapt and modify it? When the results are in how do you manage the results and document the process? Filled with tips and tricks gathered from over 40 years of experience Jankowski provides the answers in this conversational, yet practical guide. In addition to providing checklists and examples throughout the book, an entire chapter describes search tools and resources to grow your own expertise. Opportunities to apply the knowledge gained are offered in most chapters. Terry Ann Jankowski, MLS, AHIP, FMLA is Librarian Emeritus at the Health Sciences Library, University of Washington and has over 40 years of experience as an expert searcher. She participated in the development of database searching from the slow dialup era to today’s high speed wifi access on the Web. Throughout her career, Ms. Jankowski has focused on database searching, reference services, user education and user services. She has authored several publications and presentations on these topics. She started her career at the University of Southern California Norris Medical Library as a reference librarian. At the University of Washington Health Sciences Library she began as a reference librarian and progressed through coordinating the online search service to managing the education program and finished as assistant director for user experience. An active volunteer in the Medical Library Association, she has served on a number of committees, editorial boards, and task forces usually in the searching or professional development arenas. Ms. Jankowski continues to revise and teach her course on expert searching. In a tight 89 pages, Terry Ann Jankowski summarizes a semester-long reference course. Although written for the nascent health sciences librarian, Jankowski has covered the basics of reference: the interview, building a search, reviewing and evaluating results, running an improved search, managing citations, etc. Her long-time familiarity with health sciences means she focuses on what these steps would like in PubMed or Embase, but these skills are transferable to every reference interaction. . . .Overall, this work would be a nice supplement for health science librarians but also any head of reference/public services looking to keep a local collection of reference training materials. Expert Searching in the Google Age is a practical, comprehensive guide to literature searching for healthcare information professionals, serving both as an introduction (the target audience being beginners and new professionals) and a refresher for more experienced searchers, the slim volume belying its comprehensive but simple coverage…. It would serve a useful companion for someone honing their search skills, or for a more experienced searcher to dip into for reassurance when needed, or merely to further appreciate the development of literature searching from the 1960s to present, and explore the development of key techniques a little further, following up on the well-selected further reading and references when required. Expert Searching in the Google Age is filled with very practical, useable suggestions on how to approach everything from conducting a reference interview to understanding the nuances of search construction. Terry Ann Jankowski covers topics in an easily accessible writing style – not a simple feat given the complex nature of searching. This book has something for every level of searcher, whether brand new to the profession or a seasoned librarian. In the world of instant access to information, it is even more important for librarians to develop their skills as expert searchers in order to find the best evidence for clinical decision making. 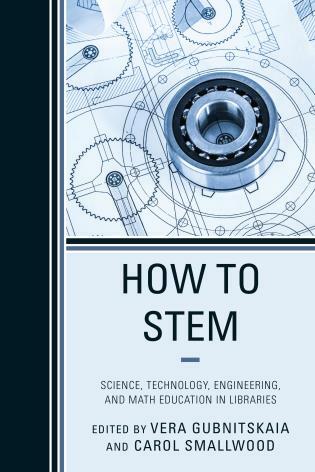 This practical, well-crafted guide distills a complex topics into understandable steps with examples, checklists and exercises-all designed for applying the learning. This book is a "must have" for health sciences librarians, library school students or other information professionals interested in becoming an expert searcher. Expert searchers and those just beginning the journey of becoming expert searchers will benefit from this publication which strikes a good balance between general information and detailed information about a complex process. The newbie will benefit from reading the volume from front to back and the expert will be rewarded with reminders of practical hints and an updated bibliography from an author with a vast knowledge of the process and with many years of experience of ‘doing’ expert searches and teaching others. This compact useful book can be used as a reference text, for self-study or as a course text.